Future of Mobile Phones - What's Next? 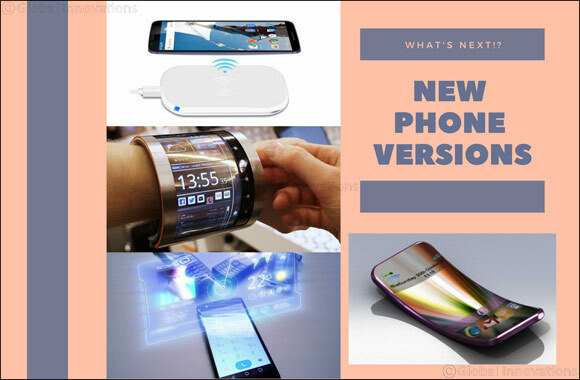 Dubai, UAE, August 01, 2018: With the fast pace of innovations in smartphones, there are lots of evolutions we observe every now and then which results in the launch of new phone versions. Remember, when you heard the name Siri in Apple world? It was invented in 2011. And also the lock patterns. These specs can be seen by buying smartphones from online marketplaces of UAE like Souq, Easy Shopping and Awok. But now, there is expectation of much advanced features like charging via Wi-Fi, holographic displays and foldable screens. You might have heard the rumors that Samsung is soon going to launch the foldable smartphone. Based on OLED technology, it will be helpful for screen displays to become flexible. Not only this, these displays will be large and beautiful, making the movie watching for the user more enjoyable. The concept of folded phone frame was first seen in 2008, implemented by Nokia’s The Morph Phone and designed by Tapani Tyhanen who was the head of Nokia’s Research Center Laboratory in Cambridge. Although it was just a concept but the at that time, the manufacturers believed the imagined features will soon appear in high end devices. Samsung somehow managed to represent the curve display feature in Galaxy Round, let see what’s next in the world of smartphone technology. Being under-observation, this procedure can really save a heck of your time and energy. Just entering the range of wireless network will charge your smartphone. It’s being stated that Apple is experimenting medium to long distance wireless charging technologies which will allow users to just have the Wi-Fi router. This invention includes the power transmission over any appropriate wireless link, which has the cellular range between 700 MHz and 2700 MHz and Wi-Fi operating at range of 2.4 GHz to 5 GHz. Hologram is one of the enchanting feature of smartphone that we are going to see in near future. Have you ever imagined an object that’s not actually here but it is here? Not so confusing, it’s something augmented to be visualized in 3D form. It feels just like floating in the air or standing on a desk. Since 2014, the rumors were flying that Apple is going to exhibit the holographic feature in iPhone series but it is yet to be implemented. The researchers from Queen’s University in Canada have showcased the concept of Holoflex prototype, which is both holographic and flexible. Because of this technology, user will be able to bend the handset in order to view the display in 3D form. Holoflex is still under-development, so let’s see when this aspect will come into the limelight. Hence, the creativity is at its peak and there is lot more to expect from the digital world. Let’s see when the fantasy movies about future of smartphones will become the reality.